Foodies and tourists are drawn to the saturated streets of Hanover and Salem in search of the perfect slice of pizza and overflowing bowl of pasta. 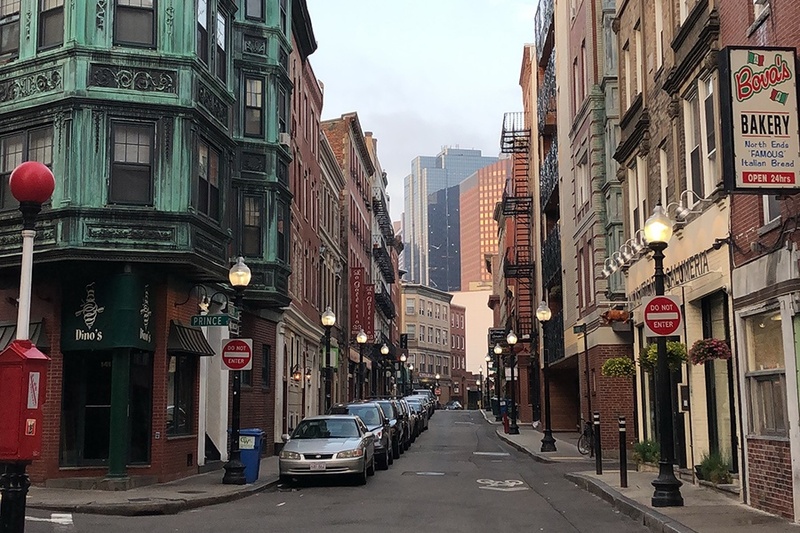 So it’s no wonder that eating a little healthier in the North End, or making sure you fit in a workout between cannoli tastings can get a little tricky, but it can be done. If you live in the North End or are passing through, health is attainable amidst the temptations on every street corner. And although some nights it’s easier to just swing by Ernesto’s for a slice or Pauli’s for a Killer B sandwich, healthier choices can be made. 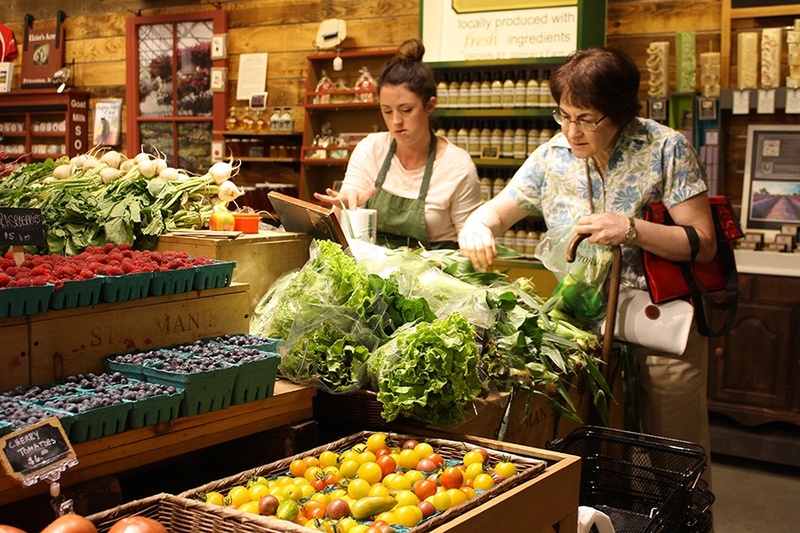 Here’s the best healthy food, gyms, and places to get outside in Boston’s Little Italy. North End Yoga: Located right on Hanover street, this small yoga studio, with wood-paneled floors, large windows, and brick walls is a little respite from the bustling street just down below. During the pleasant months, the windows are open and you can feel the breeze waft in as it billows the large curtains, but somehow the noise doesn’t detract from the practice. Along with vinyasa, structural yoga, and yoga ananda, the space also hosts pilates mat, fusion, and barre fusion, depending on what you’re looking for. 256 Hanover St., Boston, 617-227-9642, northendyoga.com. 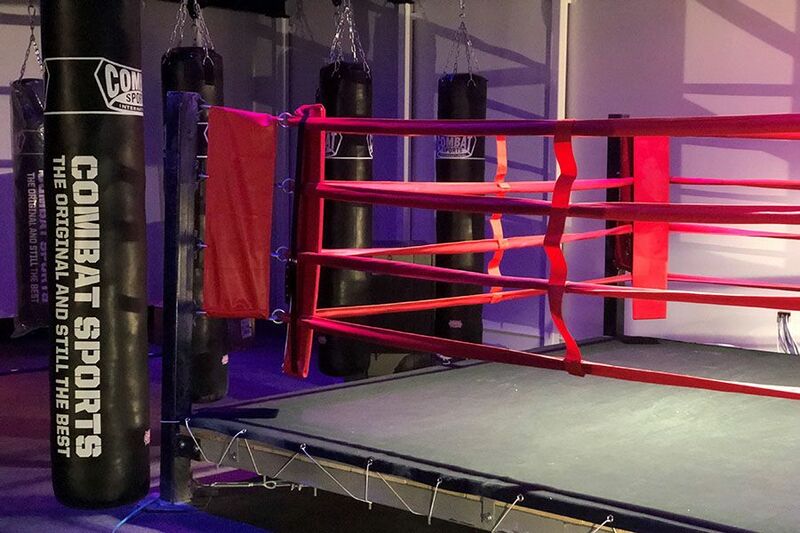 Knockout North End: This new boxing studio is nestled right between Antico Forno and Neptune Oyster on Salem Street. It has multiple heavy-weight bags and a full-size ring, as well as a full-service juice bar—not in operation yet, but soon to be. Choose from three different classes, including the signature knockout class, which is a 45-minute group class combining heavy bag intervals with bodyweight and strength exercises. The KO bootcamp is a 45-minute bootcamp class using kettle bells, bands, and calisthenics for a full body workout. And KO jump is a signature jumprope interval class, because it’s true what they say—fighters need fast feet. 89 Salem St., Boston, konorthend.com. Next Level Fitness: This studio specializes in small group programming, so instead of being one of 25 people in a group class you’ll be one of four, and you’ll receive more personalized attention and accountability. Each class is classified by what will be focused on for the duration of the 45-minute session: strength, shred, or Tabata, among others. 133 Endicott St., Boston, 617-487-4001, nlfhealth.com. The Juicery: This little joint, with a couple of bar stools and a counter, is jam-packed during the morning commute. People walk out, smoothie in hand, and ready to take on their day. Try the classic peanut butter banana smoothie, made with banana, peanut butter, and chocolate almond milk, or check out the store coolers filled with grab and go foods if you’re feeling a little hungrier. 58 Salem St., Boston, 617-936-4010, juicery.com. Boston Public Market: Swing by the market and stop at Mother Juice for a salad or Inna’s Kitchen for a pita. If you’re looking to stock up for the week, buy fresh produce from Siena Farms or FoodCares Urban Market, meat from Chestnut Farms, and seafood from Red’s Best. Be sure to swing by Taza Chocolate for a stone ground chocolate drink or sample a sweet and savory selection of spiced nuts at Q’s Nuts. 100 Hanover St., Boston, 617-973-4909, bostonpublicmarket.org. Monica’s Mercato: Hear me out on this one. Yeah, you can walk in and buy a large chicken parm sandwhich or an overly stuffed Italian sub (highly recommend, though—save it for a special occasion), but this deli also has an extensive selection of fresh vegetables, traditional antipasti, and meats and cheeses. Just be smart about what you order. If you ask for the steak tips sandwich in salad form, they’ll load up a bowl of salad greens with roasted vegetables, steak, and fresh mozzarella with the sweetest, tangiest balsamic vinegar that’s ever graced your lips. 130 Salem St., Boston, 617-742-4101, monicasmercato.com. 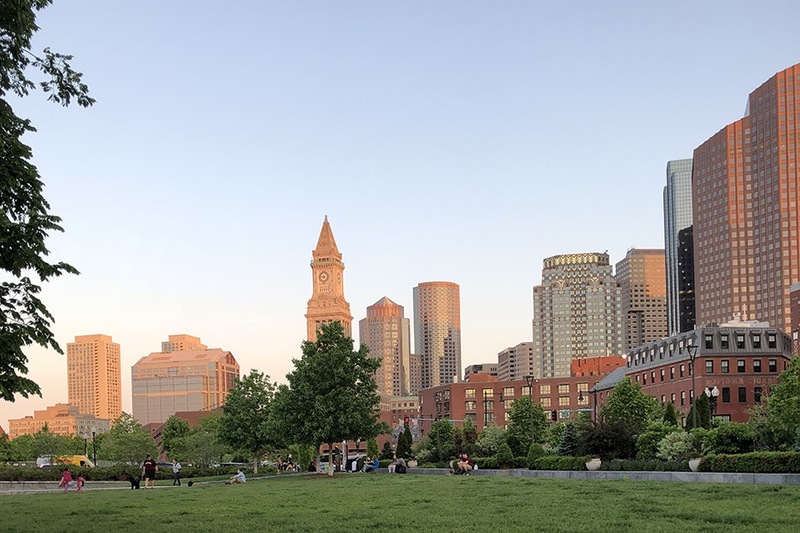 The Greenway: If you want to fall in love with the city over and over again, just take a stroll down the Greenway. Or better yet, lay out a blanket on the grass in between Cross Street and Congress Street and watch kids play in the fountain, people walking their rather adorable dogs, and all the tourists taking in the sights. There’s nothing more relaxing than enjoying your Monica’s Mercato selection while looking at the skyline (in close proximity) from a little green space in the middle of the urban jungle.